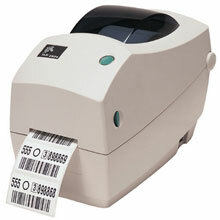 Zebra TLP 2824 Plus - Thermal transfer printing, 203 dpi, 2.25" print width, Serial and USB interfaces. Includes EU/UK Power cord. Interface cables sold separately. The Zebra 282P-101120-000 is also known as ZEB-282P-101120-000	or 282P101120000	.